Bob Enyart and Fred Williams discuss the idea that the Bible indicates that a long period of time transpired between the first two verses of Genesis. The guys first give a quick overview of the competing Day-Age Theory and then discuss the implications of the Gap Theory. So it turns out that making a small adjustment in Genesis 1 and overlooking that "the evening and the morning" were the first day, the second day, etc., leads to extensive rejection of other plain historical passages of scripture. What then, arises, with the adoption of the Gap Theory? Bob and Fred investigate (see below). * RSR's Multiple Creation Site Search: This single Google-based custom creation search already has saved Bob and Fred dozens of hours in research and made us much more effective. So we invite you to check out RSR's Multiple Creation Site Search. 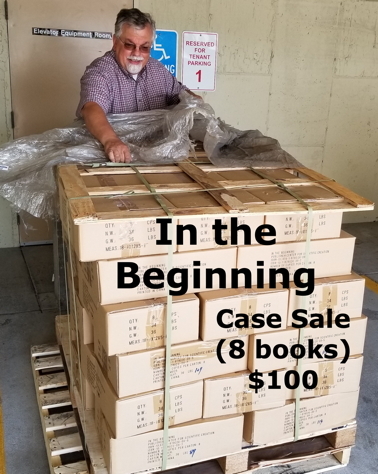 * Order Fast If You'd Like Some Christmas Gifts: We recommend Walt Brown's In the Beginning (or buying a case of eight as Christmas gifts for only $100 including shipping)! And, you can browse the Science Department at our store! - reject the mass of scientific evidence supporting a young earth including short-lived carbon 14 everywhere it's not supposed to be (like in coal, oil, marble, diamonds, dinosaur bones, etc. as at rsr.org/14c); soft tissue including blood cells in dinosaur bones (as at rsr.org/soft); flat gap uneroded boundaries between Grand Canyon layers (and around the world, as at rsr.org/gc); transient events of the solar system (as at rsr.org/transient); and see more at our youngearth.com and RSR's List of Not So Old Things!